This build was an overkill replacement for my ROG laptop that died recently (G750JW). I mostly use my PC for MMOs and MOBAs but I also do a little bit of streaming. On games like Heroes of the Storm I get between 400-450 FPS maxed out. With MMOs like Black Desert Online or ESO, closer to 120-150 on max settings. I play everything in 1080p. I had a few issues with cooling at first due to the default settings for the GPU, which did not kick the fans on until 60C, but using GPU Tweak a custom fan profile was easy enough to configure. Also, the Kraken rattled a little before I adjusted the voltage. I've written reviews for every piece of hardware in this system below, in case you're thinking about buying any of this jazz yourself. Feedback and up-votes will be graciously accepted. Great processor so far. It runs cool, overclocked without any issues, and was a breeze to install. I was really planning on going with the i5 6600K and honestly, I feel like that would have been enough for gaming. In the end the only reason why I made the jump to the i7 6700K was the epeen boost. I do think it will make streaming a little smoother, though. I would definitely recommend picking one up if you have the means. I love this cooler. I did have a little bit of trouble with it at first, but once I figured out where I was derping things were fine. This is a BIG cooler so make sure that the case you purchase has room. Even with the option to mount the radiator on top of the Phantom 530, it took a couple of tries to position it correctly. In the end I had to place the 140mm fans that come with it inside the case with the radiator on top, which is pulling hot air into the radiator (unfortunately). I sort of feel like it is a blessing in disguise because the 6700k runs so cold and the 980Ti Strix runs so hot, I could use the extra exhaust more than the processor cooling. I would recommend picking up an extra set of 140mm fans to do a push/pull config if you have to mount your intake fans on the inside of the case. At least that way you're moving a good amount of air. I purchased two 140mm Thermaltake fans for that. They have less than 40 CFM, but they are slim enough to fit on top of the radiator (the radiator taking up so much room on top is why the full size 140mm fans needed to be mounted inside in the first place). If you have this cooler, you may have to toy with your fan connections a bit. There are three cables that run from the pump. One is for the pump itself and attaches to the CPU PUMP connector on your mobo (if it has one, otherwise its the CPU_FAN header), one is a USB 2.0 connector, and the last is a SATA connection with four fan connectors alongside it. Only ONE of these is 4 pin and that is the one that CAM 2.0 and your mobo will recognize. For the longest time I couldn't get RPMs to register or the bios to recognize I had a CPU fan. The fix was simple, but weird. I just switched which 140mm fan was connected to the 4 pin and which was connected to one of the 3 pin connectors and it was fine. Oh yeah, and the pump rattled. If you have this problem use CAM to set up a custom fan profile that has the pump running even just a little bit faster and it should stop. Great motherboard. Install and bios were both simple and straightforward. Incredibly user friendly. No performance issues whatsoever, would highly recommend. So far so good, no issues at all. I nearly went with 32GB bot this seems like more than enough as is. Performance is great. For the price, I would recommend this to anyone. 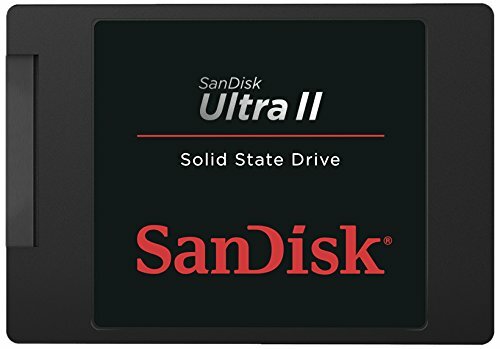 I was hesitant to go with Sandisk over Samsung, but the price was right and so far I have had no issues with this SSD. If you're coming from an old school HDD like me, it will blow you away. Would recommend. This card is an absolute monster. No matter what I'm playing I crank it all up to ultra and consistently land 120-300+ FPS. The only issue I had with this card is that it runs very hot, and the reason for that is that by default the fans do not turn on until 60C. Word is that's because Asus wanted the card to be silent and it can handle running a little hot, but if you're like me and that bothers you, set up a custom fan profile in GPU Tweak II. I've got the fans running at 30% through the lower ranges and then ramping up to 70% by 60C. I haven't hit 60C since (high 60's was almost immediate before making that change). Probably the greatest thing I have ever owned. Buy one. Now. Great case, cable management is fantastic and air flow is top notch. My only issue was that the screw holes for the side fan and the actual size of the screw holes on the side fan I got (Corsair AF140 Quiet Edition) did not match up AT ALL. They were way too small. It took a couple of trips to Lowes but I eventually found a solution that worked. Great case for the price. Great PSU. It runs very cool, and the fan is virtually silent (though it hardly ever needs to run). Feels very sturdy and well-crafted. Excellent fan! It moves an incredible amount of air with an impressively low amount of noise. 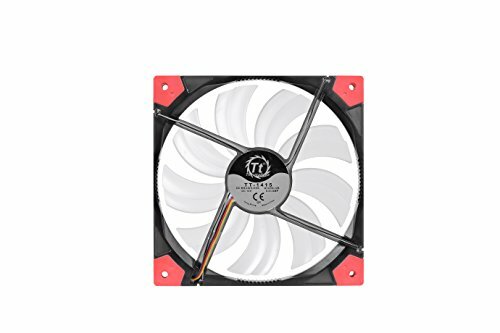 These fans are great if you're short on space. They definitely seem to be of sturdy construction and intelligently engineered, though they are not the power house a full-width 140mm fan would be. My only complaint is that the grooves left along the edges for cable routing are actually too shallow to use properly. Fantastic picture quality, sufficiently intuitive interface, good quality (very quiet) in house speakers. The DVI-D cable that comes with it will work for 144Hz, but is very short. Buy a 10' DisplayPort cable from Amazon for $6.99 if you're buying this. I've had this keyboard for a long time. I love it. Macro key placement below the spacebar for the thumb is 1000x better than down the left side. 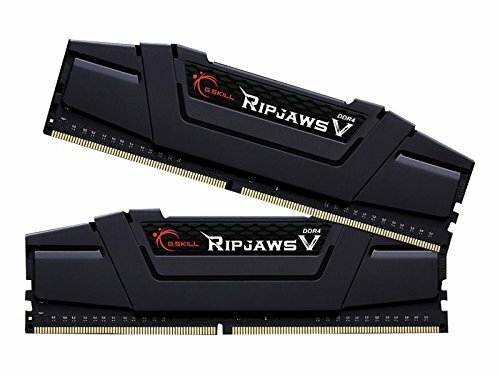 I had issues with Razer Synapse not recognizing my Razer products on this build for some reason. I had to download some super old Razer drivers specifically for the Anansi & Naga, get them recognized by Synapse, and them remove them. Now I'm gtg. 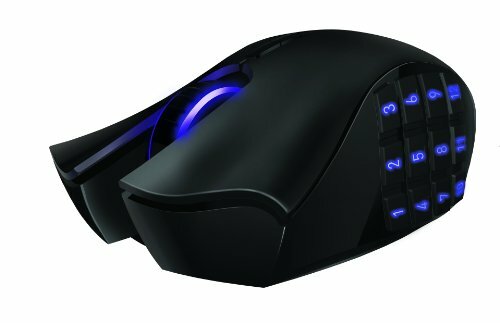 Great mouse, I use macro keys on every game I play with this mouse. Razer Synapse is so easy to use. Wow... you've got an exceptionally written description, though... is that carpet? If it is, I'd recommend you put something under your PC so that your components are safe from static. You could place it on your desk. If you don't want it on your desk, then something that doesn't cause static will do. I considered the Razer Kraken Chromas as well! YouTube mic tests pushed me toward the hyperx in the end.